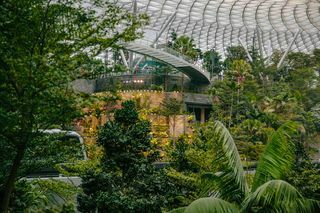 Prior to opening to the public next week, Singapore’s Jewel Changi Airport welcomed its first visitors today, as those who have pre-registered will be able to preview the $1.7 billion project from April 11 to April 16. 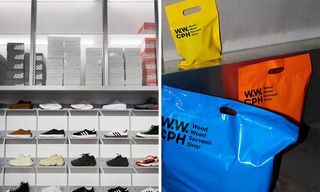 According to Changi Airport Group, 95 percent of the airport’s lease space is already occupied, including more than 280 shops and food and beverage providers. 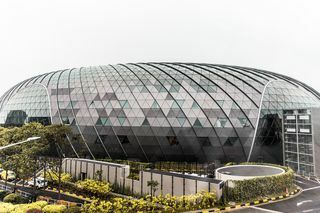 Spanning 10 floors, Jewel Changi Airport houses the largest Nike store in Southeast Asia, as well as the first Pokémon center. 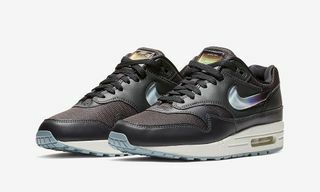 Visitors can also take advantage of early check-in counters, a baggage storage service, a 150-seat lounge and a 130-cabin hotel. 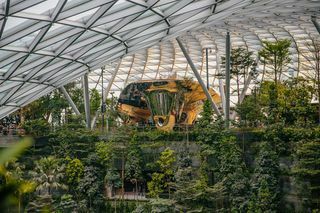 Roughly half of Jewel Changi Airport’s retailers are based in Singapore, with a number of them being located on the first level to provide guests with a more convenient means of purchasing homegrown products. 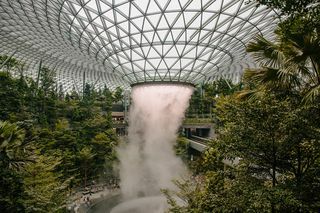 At the center of the 135,700-square-meter complex is the 40 meter HSBC Rain Vortex, the world’s tallest indoor waterfall. It is reported that water falls through the roof at approximately 10,000 gallons per minute. 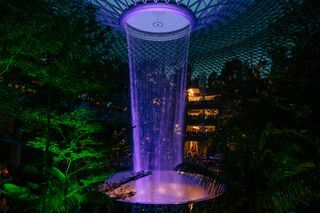 The airport will host light and sound shows in the evening to further showcase the waterfall. 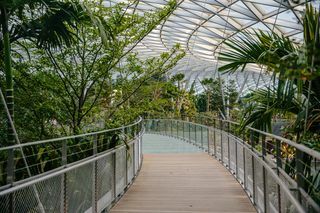 Surrounding the HSBC Rain Vortex is the Forest Valley, which consists of 120 species of plants, fiver percent of which are local. The area houses ferns, orchids and two olive trees from Spain, just to name a few. 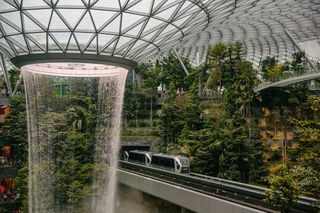 Jewel Changi Airport, which began construction in 2014, is expected to see between 40 and 50 million visitors each year. The airport opens to the public on April 17. 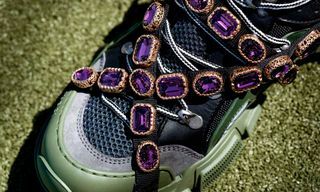 Visit jewelchangiairport.com for more on the incredible complex.